On May 4th 2015 we attended the launch of CRM program for Coéxito’s car maintenance centers. This was the culmination of a hard work with did together between the workers from the car maintenance centers, Coéxito and Etairos. During several months, we model, configure and implement a CRM according to Coéxito ’s needs, in order to support them in their needs to be able to relate better with their costumers. 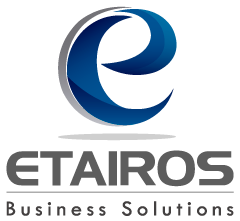 With this work, Etairos, true to its philosophy; became an ideal partner for Coéxito, due to the fact that besides the implementation made, we keep improving together providing to them the services in: improvements, access to the cloud based application, support and permanent training. This application will be implemented in 64 car maintenance centers throughout the country, starting with the city of Cali. The platform in which we developed this implementation is SugarCRM CE.